A mushroom is a fleshy, spore-bearing fruiting body of a fungus. 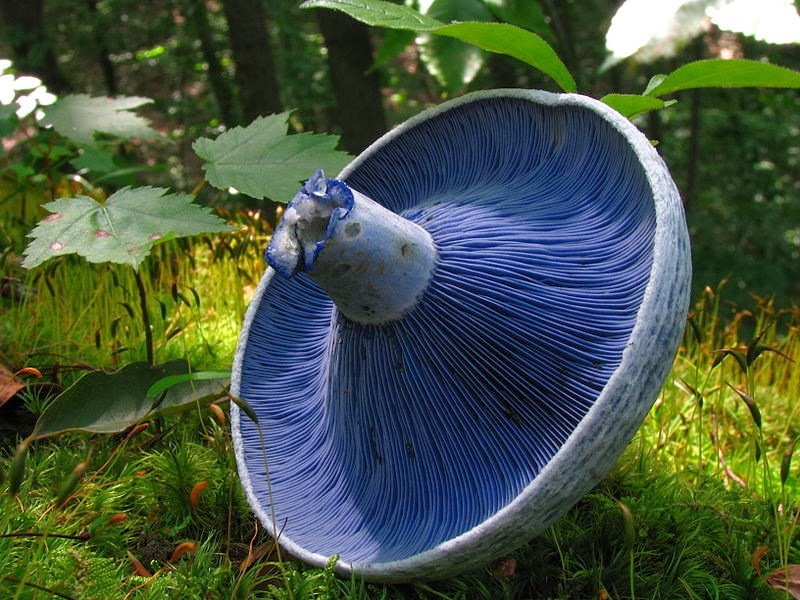 The term mushroom describes a variety of gilled fungi, with or without stems. The gills are seen below in detail (blue). The terms "mushroom" and "toadstool" go back centuries and were never precisely defined. Toadstool was often a term applied to poisonous mushrooms or to those that have the classic umbrella-like cap and stem form. In German folklore and old fairy tales, toads are often depicted sitting on toadstool mushrooms and catching flies. 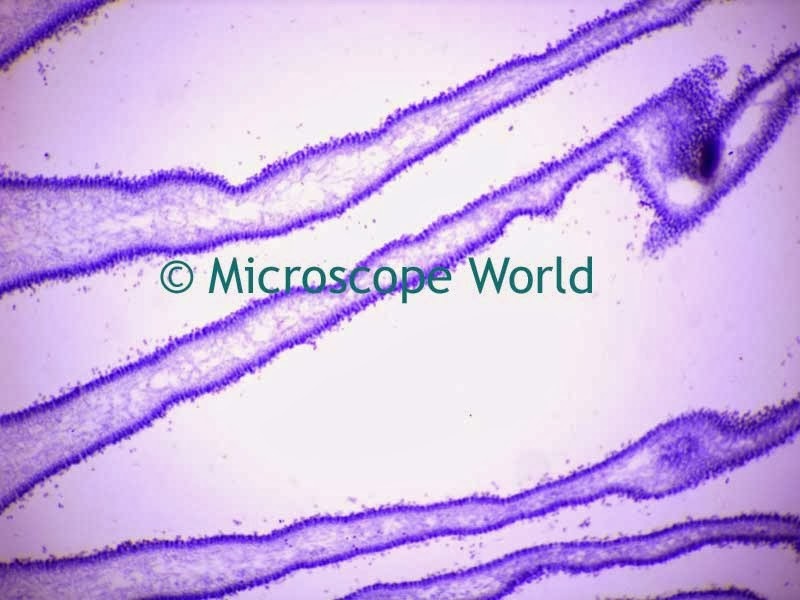 Mushroom captured under the U2 biological microscope at 100x magnification. 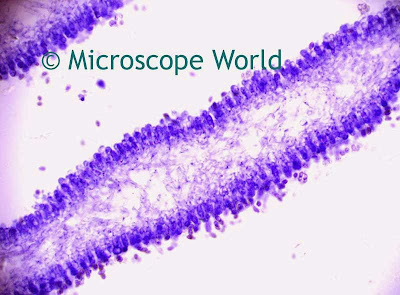 Microscope images were captured using a 5 megapixel CCD microscope camera. Mushroom captured under the U2 biological microscope at 400x magnification.